Papers: 1945-1969, 104 linear feet and 5 volumes. 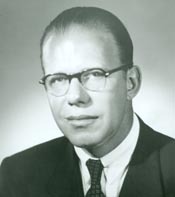 The papers of Alvin M. Bentley include correspondence, reports, speeches, photographs, and other papers, relating to Alvin Bentleys congressional and political career, including correspondence with Republican Party leaders and papers concerning his campaigns for the U. S. Senate in 1960 and for Congressman-at-large in 1962. Also included are papers detailing his interest in the affairs of the countries of Eastern Europe and Latin America, notebooks relating to Michigan Constitutional Convention (1961-1962), and papers concerning regental affairs at the University of Michigan and his work with the Michigan Citizens Committee on Higher Education. A finding aid is available in the library and online. Photographs: 1922-1969, 2 linear feet. The photographs of Alvin M. Bentley document his election campaigns and other political topics, as well as the Saginaw Valley Flood, 1956. A finding aid is available in the library and online. Sound Tape Reels: 1960s, 2 sound tape reels. The sound tape reels of Albert M. Bentley include a talk on American foreign policy. Also included is an interview of Hugh W. Brenneman with Alvin Bentley, Lindbergh Rogers, Win Schuler, William Marshall, and Tom Miles. A finding aid is available in the library and online. Papers: In the Wilber M. Brucker papers, 1877-1968, 52 linear feet and 2 oversize folders. Correspondents include Alvin M. Bentley. A finding aid is available in the library and online. Papers: In the Owen J. Cleary papers, 1944-1959, 10 linear feet and 2 volumes. Papers: In the Fred L. Crawford papers, 1925-1953, 6 linear feet and 1 volume. Subjects include Alvin M. Bentley. A finding aid is available in the library. Papers: In the Austin W. Curtis papers, 1896-1971, 2 linear feet, 1 volume [oversize], and 1 oversize folder. Papers: In the John W. Fitzgerald papers, 1952-1965, 6 linear feet. Papers: In the Charles L. Follo papers, 1961-1970, 4 linear feet. Correspondents include Alvin M. Bentley. A finding aid is available in the library. Papers: In the Harlan Henthorne Hatcher papers, ca. 1837-1998, 72 linear feet and 1 oversize folder. Papers: In the Stellanova Osborn papers, 1916-1992, 40 linear feet. Persons represented include Alvin M. Bentley. A finding aid is available in the library and online. Papers: In the James Kerr Pollock papers, 1920-1968, 87 linear feet. Papers: In the Margaret Bayne Price papers, 1918-1969, 25 linear feet. Papers: In the John M. Roberts papers, 1960-1967, 107 items. Persons represented include Alvin M. Bentley. Photographs and Videotapes: In the George W. Romney visual materials subgroup, ca. 1920-1970, 17 linear feet. Papers: In the Alexander Grant Ruthven papers, ca. 1901-1961, 65 linear feet and 1 oversize folder. Papers: In the Rebecca Shelley papers, 1890-1984, 21 linear feet and 1 oversize folder.